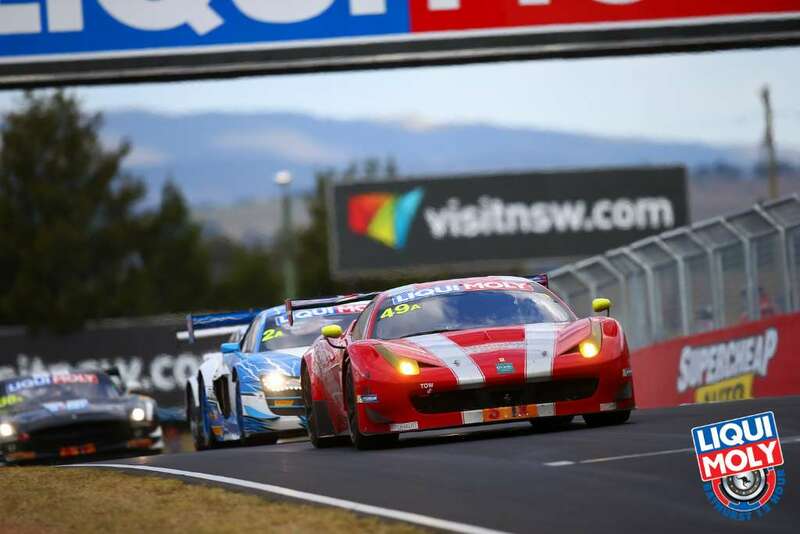 From last to second in the Am category: that was the stunning feat pulled off by Andrea Montermini, Benny Simonsen and Renato Loberto in the Bathurst 12 Hours. 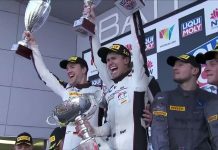 After a disastrous qualifying, the trio was peerless in their Vicious Rumour Racing car and managed to make it onto the podium behind the overall winners, the Athlete Global Team Nissan crewed by Florian Strauss, Katsumasa Chiyo and Wolfgang Reip. Third was the Hallmark-Network Clothing Audi of Cini-Eddy-Mies. 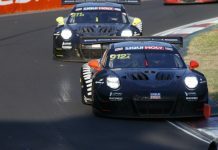 The other two Ferraris in this category, the 27 car entered by TFM Ferrari Motorsport New Zealand and the 29 car of Team Pirelli both had to retire. Pro-Am. There was disappointment for Ferrari in the Pro-Am class. AF Corse’s number 77 car led the race until it went out following a collision with the 36 Mercedes of Dean Canto, which saw it end up in the barriers, bringing out the Safety Car for the twelfth time in the race. In total there were 20 neutralised periods, a record in the history of this race. 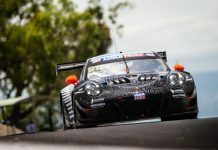 The other Ferrari also strugged: Mok Weng Sun, Toni Vilander and Matt Griffin had to settle for sixth place in the category that was won by the Phoenix Racing Audi driven by Mapelli-Vanthoor-Winkelhock. D’Alberto heads home. Ferrari’s Bathurst 12 Hours had already got off on the wrong foot, when the Maranello Motorsport car, winner here in 2014, crashed heavily into the barriers during qualifying, with Australia’s Tony D’Alberto at the wheel. The team had to pull out and the driver had to go to hospital. However, D’Alberto has now been discharged and is heading home with wife Steffanie, thus escaping with a major fright and a few scratches.